Visiting Washington DC is not a waste of your time and money. There are many places in Washington DC that you can include in your itinerary, which make your travel to this great city worth your time and money. Here are some notable attractions that the city can offer. * Smithsonian Institution – It is the image of 19th century sandstone called the Castle. This is an institution that got more than nine museums. A one day tour is not enough to cover it all. The best places to visit are Air and Space Museum and Museum of Natural History. 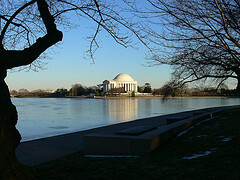 * Jefferson Memorial – This place houses the 19 foot statue of America’s third president. In addition, there are some writings in the wall like Declaration of independence and some Jefferson writings. * Michel Richard Citronelle – This famous chef got a restaurant at the heart of Washington DC. He prepares wonderful dishes to dignitaries who frequent his place. It is not only about delectable menu, the service is professional. The multi course is accompanied with wine. The restaurants wine cellar houses thousands of bottles. * Mandarin Oriental – This is a taste of Asia in the district. The hotel amenities are world class with pool and spas. The restaurant shows the city’s view on a flat screen TV and the rooms have internet access. * The White House – This icon of democracy should not be missed. It is one of the most significant buildings in the city. Its architecture is majestic and suits the city’s landscape. There are guided tours that you can join. * Twins Jazz – If you want to enjoy jazz music, this is the place to be. You can hear grassroots musicians play. The food is also good. * 1789 – Another great restaurant with a unique atmosphere. This country inn has a Federal style with antiques, china and rustic fireplace that make everything comfortable. The menu is filled with mouthwatering dishes. 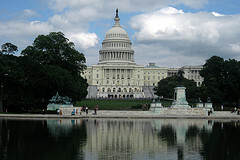 * Capitol Hill – This is a famous political landmark. There are many visitors flocking the area for pictures. You can sit at its stairs and look at workers passing by. If you get lucky, you might catch a glimpse of some well known politicians. * Bombay Club – If you want to taste a unique Indian cuisine then this is the place to be. It is near the White house area. Normally it is crowded with workers. During his term, Bill Clinton used to dine in one of their rooms.